Themauling took place on January 22 with the victim the actor-host Vhong Navarro and the involved Cedric Lee, Deniece Cornejo, Berniece Lee, Ferdinand Guerrero and now another name is on the list, Zimmer “Raz” Rance. The people are asking who is this person involved in mauling Vhong Navarro? The alleged person is included in the Lookout Bulletin Order together with the abovementioned names. He is a 6-footer bodybuilder who knows mixed martial arts. He is a friend of Cedric Lee and present in the condominium during the mauling on January 22, 2104. 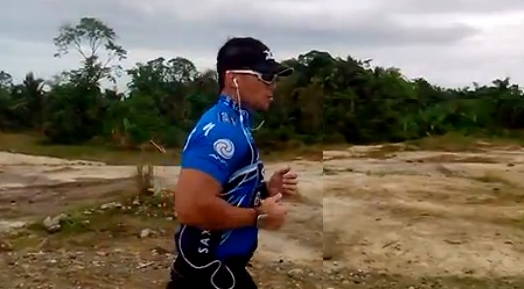 There are claims by Cedric Lee that they found it hard to pin down Vhong Navarro but there are violent reactions with regards to this matter because Vhong Navarro is thin and aside from the fact that there are several of them at the condominium, Zimmer has good body built and he is characterized as strong. This is the reason why it is hard for the people to believe that Vhong Navarro is hard to pin down. We will learn more about Zimmer as the proceeding goes. Let us pray for justice to prevail. Be updated on this case in our future post here. You should do that to me, Cedric.. Zimmer... (read my words) "I'LL EAT YOU BOTH ALIVE!"